Effective business lead generation is based on efficient telemarketing services that result in generation of qualified prospects to increase sales and productivity. Many times, sales personnel aim at making calls, whether productive or non-productive, is not their concern at all. These kind of calls are generally wasteful calls and do not contribute to company’s objective of generating business. Lead generation services are meant for making those calls to some specific clients who can be the prospective clients in most cases. These people are ready to listen to telemarketers as they also have a same objective in their mind for which telemarketers are making calls. Lead generation becomes effective through full-time telemarketing services that aim at generating as many leads as possible without compromising on cost and time factor. These services are meant for generating both business to business and business to consumer marketing needs. Furthermore, all leads can be customized to target ideal customers. Ideal customers are identified through lead generation program that have higher chances of turning into prospective or desired customers. To successfully implement sales lead generation campaigns, outbound and inbound call centers capitalize on their experiences for generating effective leads for their clients. Telemarketers should also possess good telephonic skills for making effective calls. Sluggish and lethargic approach will not give good results, nor generate desired leads. Proper strategy is drafted based on which calls are made. The rest depends on communication skills of the executive, executing the calls. Before launching any lead generation campaign, make sure all involved teams are on board and on the same page. The goals should be clearly defined and applicable to the different parties. The strategies should be in place to effectively be geared toward this similar goal. To start off, the campaign flow should be outlined carefully. Where does the process start and how will it end? How will you define its success or failure? If the goal is to increase leads online, then the promotional material will be correlated to this goal. Most if not all efforts will then be concentrated online. You can start with search engine optimization (to enhance sign ups via the website), email campaigns, online linking campaigns and even search engine marketing if you’ve got enough money to play with. How do you want people to respond to your business lead generation campaigns? Will there be a hotline number or do you want to course all campaign responses through your website or maybe a particular email address? These should be outlined carefully so your teams will be well-prepared to entertain in-coming prospects and follow through on possible sales. Having more response channels will be to your advantage, although tracking may become a challenge. Liaise with the different departments involved in making it work – those that will receive the clients by phone, email and website should align with the same spiel, the same offer. Position the goal of your messages in the collateral in such a way that it will not be drowned by other content. Make this the focus of the entire piece. This should be the same for all pieces and for all sales lead generation campaigns if you’re doing multiple campaigns at the same time. Also ensure that everyone involved knows the marketing message – dissemination is key. For the lead generation services campaign to be effective, the user has to enjoy the experience. The campaign should be targeted enough to be appreciated by the right market. The flow of the campaign from ad to landing experience to response acceptance should be smooth and directed towards the goal. This will give your campaign a viral effect. People who appreciate how you’ve marketed your product will talk about it and spread the word. This is priceless marketing. 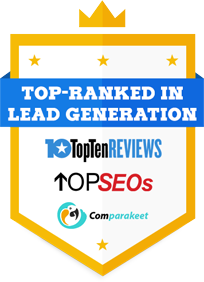 And if you can get a reliable lead generation services provider who will take care of leads for you, you will really reap the rewards. Once these steps are properly outlined, the campaign should be able to push through without a hitch. These are macro perspectives of any sales lead generation campaign and not designed to sweat the small stuff. But once these are in place, the details will fit perfectly like pieces in a puzzle. Generating a sales lead is a fundamental part of sales lead generation. A sales lead is not yet a sale. It is purely an indication that a potential customer has expressed an interest in your product. You now need to set about convincing them that you are the right business for them to buy from and that you will solve their problems.Most companies that buy in sales leads typically tend to approach a potential customer by selling to them. This is will not work in 99.9% of the time. The golden rule is to ensure you give value first then offer the lead an opportunity to think things over, then re approach them and offer them something of value to buy from you. Remember that price is not everything. If you offer services, reviews, help and advice that your competitor doesn’t then you need to make this clear to your customer. A great way to do this is to offer your sales lead a special report. This report will contain all the vital information about buying from you and also give them plenty of practical and helpful advice about what to look for, what to choose, and how to get the best out of the product. The simple way to write a special report is to write down five things that are unique about your product or service. You can then expand on this by adding some general observations about what your competitors are not doing and you are. Once you have this complete you will need to decide on a title. I would recommend naming the report “Five Secrets To….” This type of title gets the interest of the visitor and is likely that they will take action and sign up for your report. Simple. You now just have developed your own sales lead! This method warms the sales lead up from just a lead to a probable sale. With technology today it is simple to put this entire business lead generation process on autopilot using an auto responder. The auto responder will send out messages or reports in the order you select without you lifting a finger 24/7 365 days a year. You want to look professional in the eyes of your potential sales lead so need should invest in one of the many auto responder services there are on the market. There are those that are cheap and deliver messages promptly and professionally. They also allow you to add custom fields to collect more data about you sales lead on the name capture page that you need to create for your website. How does your website currently generate sales leads? Chances are you have a simple contact us or request for more information form that you get visitors to use. If you are using this you need to change the way you capture data to ensure your website generates the right type of sales leads you need. It is vital that you place your lead generation services form on the main page of entry; this is usually your index or home page. By doing this you are filtering the visitors to see their level of interest. We want to find the visitors who are interested in learning more about us, our product and how we can help them. If we do not capture their attention then we know that they will visit another site, as we have not satisfied their needs. Business lead generation is a cost effective way to improve your website and turn your business into a 24 hour marketing machine for your business. Use auto responders to capture full sets of visitor data to ensure your online sales lead generation is high profitable and successful. The best thing about this method is that whilst it might take some time to set up the auto responder, write the report and convert it to a pdf, it will work for you forever developing sales leads into sales using this simple yet powerful tactic for your lead generation campaigns.